Contemporary Balkan brass band music is the product of a confluence of influences, most directly Roma (gypsy) musical traditions and the Ottoman Empire’s military bands. The best Balkan brass players are world-class virtuosos (after hearing a few, Miles Davis famously said “I didn’t know you could play the trumpet that way”) and musical omnivores. As was jazz in its early years, today’s Balkan brass music is complex, innovative and at the same time fabulous for dancing, partying and generally overindulging. 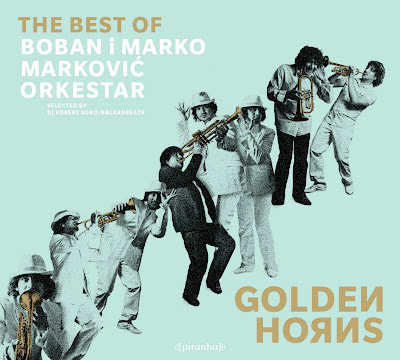 Serbia’s Boban Markovic has been among the top players in Balkan brass for almost 30 years; his son Marko is following in Boban’s footsteps and assumed leadership of the band in 2006. This greatest-hits collection, curated by Robert Soko, one of Europe’s leading “Balkan beats” DJs, is an ideal introduction to one of the world’s outstanding ensembles. 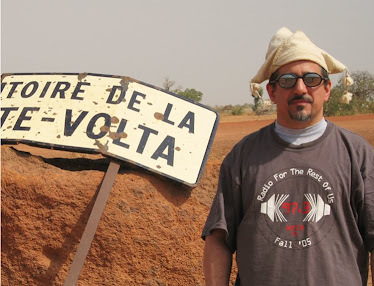 Many veins of the Markovic sound are mined: you get Roma music uptempo (track 5) and in ballad form (12), funk (6), rap (yes, Marko does that too on track 8), the Jewish tinge (10), and Balkan-beat remix (15). Great stuff, all of it.